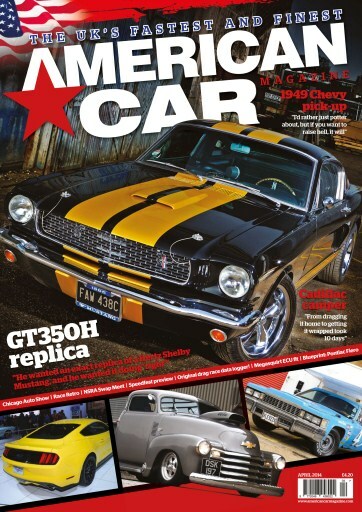 It's the April issue of American Car Magazine, spring is springing, the new season is well on its way and we have a big birthday to celebrate. Happy Birthday, Ford Mustang! We celebrate the Mustang's 50th with the world's most desirable ex-rental fleet car (and possibly the world's ONLY desirable ex-rental fleet car), a Shelby Mustang GT350H. It's a replica, but we don't care. As well as that we have a Chevy pick-up that's just reached retirement age and is taking it easy, but there's life in the old dog yet. Over 500bhp of life, not to mention a full cage and roof chop. Then there's a Cadillac Coupe De Ville camper. Yes it's April; no we're not fooling, it's a Camp De Ville. 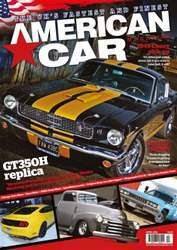 We also visit the NSRA Swap Meet and Chicago Auto Show, talk to the man who built the first data logger in professional drag racing, and loads of other things besides, so get hold of the April issue or more fool you.